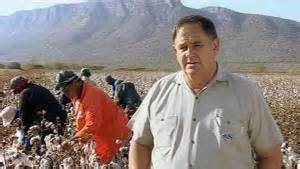 He spoke about the centrality of the land question to the struggle against apartheid and argued that, contrary to much of the bluster that often surrounds the issue of land, the Constitution does allow for expropriation and does not make land reform impossible. He noted that neither the phrase ‘willing buyer, willing seller’, nor the logic behind it, appear in the Constitution. The often strident misrepresentation of the Constitution in this regard has two primary political functions. The first is to deflect responsibility for the failure to achieve meaningful land reform after apartheid away from the ruling party. The second is to do so in a manner that presents the constitutional order as an impermeable barrier to the realisation of popular aspirations which are both legitimate and urgent. In view of the evidently predatory nature of the authoritarian currents that have come to the fore in the ANC it is easy enough dismiss the desire to delegitimate the Constitutional order as entirely self-serving. And when the land question is folded in to active attempts to affirm and extend the reach of traditional authority, it is equally easy to argue that a demand for justice is being misused to shore up a shift towards undemocratic modes of power. In some cases these arguments are rooted in an uncritical assumption that liberal social arrangements have a universal purchase and are an unquestioned good. But more sophisticated arguments often draw on an academic consensus, rooted primarily in Mahmood Mamdani’s Citizen and Subject: Contemporary Africa and the Legacy of Late Colonialism , a book that was published almost twenty years ago and has attained the status of a classic text. The essence of Mamdani’s argument is that, across Africa, colonial power captured and distorted pre-colonial modes of rule for its own purposes and that most postcolonial governments have sustained this in their own interests in the name of tradition. The result, Mamdani argued, is that rural people have remained subjects of undemocratic modes of authority while citizenship and democratic modes of authority have only been attainable in urban settings. It is not difficult to sustain this line of argument in contemporary South Africa. The former bantustans are governed on a fundamentally different basis to the rest of the country and there are numerous stories of self-interested complicity between traditional authorities and mining companies as well as various kinds of abusive practices, some mediated through an enthusiastic embrace of patriarchal ideas, on the part of traditional authority. But a simplistic division between the virtues of liberal democracy and the perils of authority exercised in the name of tradition, as both are experienced in practice, is not a credible position. Ten years ago there was a pervasive elite consensus that liberal democracy was in the process of ’emerging’, ‘consolidating’, ‘developing’ and so on. When it was acknowledged that not everyone was in a position to enjoy the benefits of liberal democracy it was often assumed that, in time, democracy would trickle down to all sectors of society. At the same time there was, in urban areas, a widely held view that the problems that people were experiencing with government were due to local malfeasance of various kinds and could be resolved if the attention of senior officials and politicians could be drawn to the situation. This view was often nested in confidence in liberal democratic institutions and a sense that while some people had been ‘forgotten’ this was a temporary aberration that could be corrected by asserting demands for recognition. But today no credible protagonist in the elite public sphere is under the impression that local democracy is in the process of being entrenched. Stories of abusive and exclusionary practices by ward councillors and their committees, sometimes mediated through patriarchal practices, are legion. In urban community meetings the idea that problems will be resolved if the attention of higher authority is attracted no longer has the purchase that it did ten years ago. People regularly argue that democratic institutions, including the courts, function to sustain rather than undo colonial dispossession. The government is often seen as having sold out to the enduring grip that colonial modes of power are seen to have on society. It is often argued, in particular, that land was not bought and sold before colonialism and that it should not be bought and sold now. Increasingly these sentiments are animating urban land occupations organised from below. They are also part of the explanation for the evident increase in people’s willingness to face state violence in the struggle to access land from below. The EFF is the only organisation operating in the elite public sphere to have recognised and embraced these ideas and practices. But it’s also not unusual to hear people, people who have a background in struggle, and in the ANC, who are not politically conservative and who live in diverse communities, argue that pre-colonial modes of rule enabled access to land and engaged people on a respectful basis and are therefore preferable to corrupt and authoritarian councillors that disrespect people and sustain modes of allocating land understood to be colonial. In some cases people have actual experiences with amakhosi that are vastly better than their experiences with councillors. And while rural areas often remain poor, for many people living in cities they are still a place of sanctuary – a place to which people can return when they are unwell or out of work, to which they can send their children in difficult times, and to which they can retire and be buried. An urban life is often a precarious and exhausting strategy to sustain a rural sanctuary. Zuma’s ANC is the only organisation of any real weight within the elite public sphere that has recognised and spoken to these sentiments. If the social forces that seek a democratic resolution of the land question, one that puts ordinary people first and takes the long standing demand for land and autonomy seriously, they will have to take the degree to which liberal democracy has, in practice, failed people, and to which its representatives are often experienced as exploitative and abusive, with the utmost seriousness. In the absence of this there is no guarantee that people looking for viable alternatives to a system that does not work for them in practice will not be willing to explore the only alternative that is being offered to them – one that holds out the promise of land and dignity via affiliation to a reactionary mobilisation of the idea of traditional authority in support of an increasingly brutal and predatory state.